MACXEN S1 Stereo 3D Phone is taking itself into the new market as it combines unique technology with advance intelligence as it has a 5.5 inch 1920x1080 IPS Screen, MTK6592 Octa Core 1.7GHz, 2G RAM, 32GB ROM and comes with a free 32GB Micro SD Card. The MACXEN brand is bringing the next generation for highly intelligent and very diverse smartphones directly to you with their S1 model. 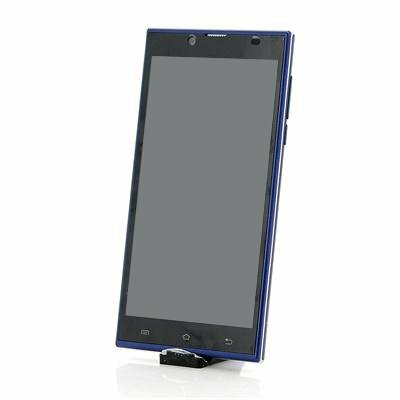 This 5.5 inch phone with fantastic resolution of 1920x1080 pixels incorporates IPS technology for a better view no matter the angle. The bigger screen provides you a wide viewing angle, restores the natural color thanks to the quality as well as giving you visual entertainment. 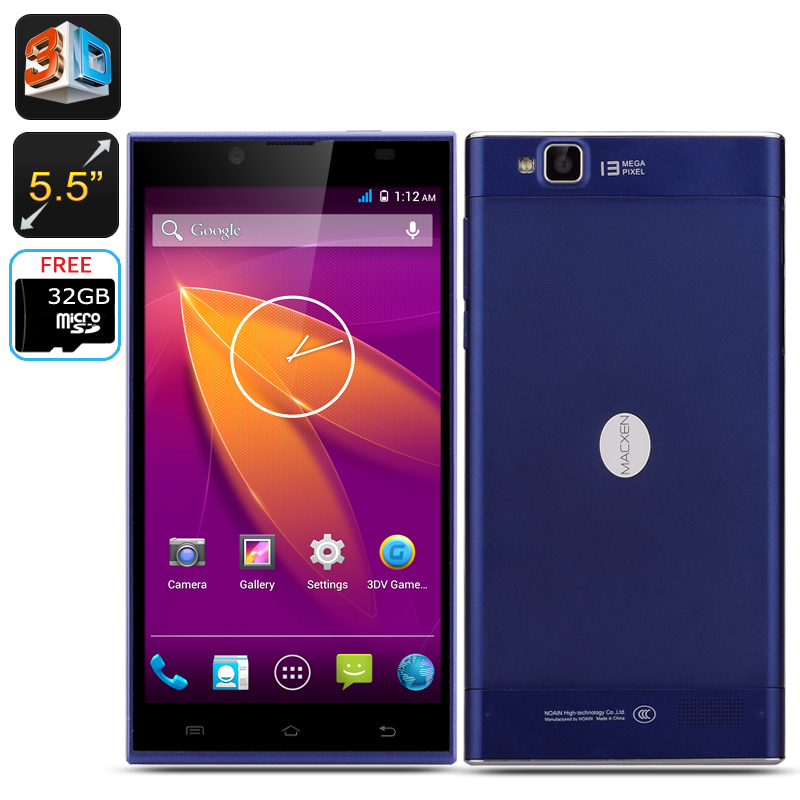 With eight cores, this octa core mobile phone has a powerful processor that can tap speeds of up to 1.7GHz as well as using high-speed technology for running high demanding apps smoothly. Paired with this powerful octa core processor is 2GB of RAM to reach a performance like never experienced before. The android 4.2 operating system that comes with the MACXEN S1 is a true winner for all users that want to the get the most for very little as this renowned software offers a true level of customization. Offering the world’s first single-camera for 3D photos, the MACXEN S1 offers a unique technology that can be used with just a single click of the button and then moving the phone to the right level. The camera will automatically take photos after completion of synthesis and automatic continuous photographs combined into a highly dynamic 3D image. Already arriving with a monstrous 32GB of internal memory, this android smartphone has a built-in micro SD card slot that offers additional memory via a micro SD card. Coming with a free 32GB micro SD card, this cell phone lets you instantly start transferring data to and from the phone with ease as well as having as huge storage space to store music, videos and apps. Il cell è molto grande. Il Sistema android facile e intuitivo. Mi piace molto il 3D. la batteria non rimovibile. Lo slot per la sim poteva essere una microsim e una sim standard.